The Providence Public Library designed by Stone, Carpenter & Willson c. 1900 on Washington Street in Providence, Rhode Island. Click HERE to see the library on google street view. 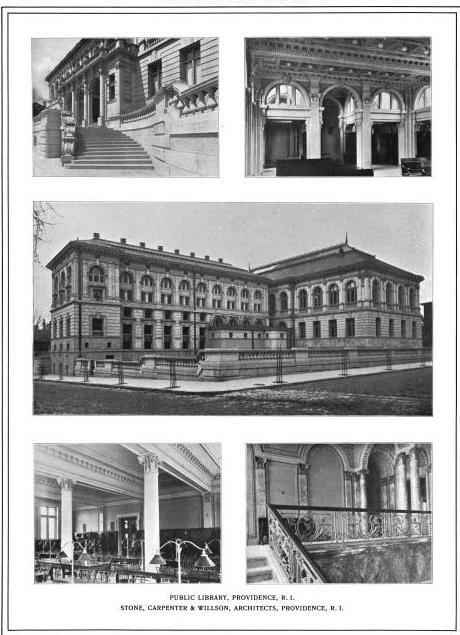 Photos from Architectural Review, 1902. And here we have an object lesson in great architecture vs. ordinary. Put these pictures next to pictures of the Boston Public Library. Two buildings following the same idea---one is near perfection and is one of the greatest buildings in the country, the other, this one, is just kinda blah. Could just as well have been designed by CPH. 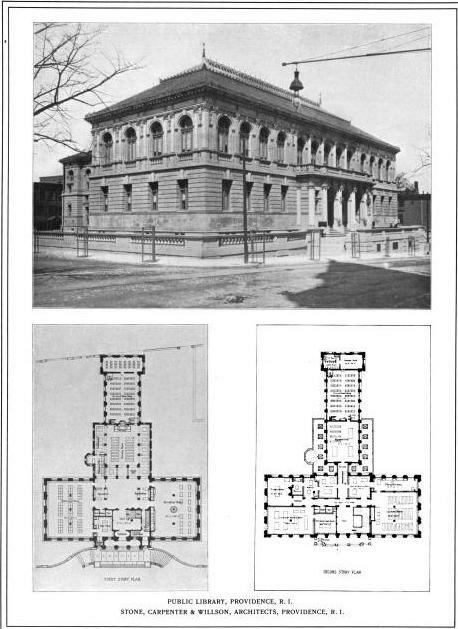 Well for me "blah" civic structures such as this, dating to the turn of the 20th century far surpasses most, if not all of the pitiful attempts at great civic/public buildings over the last 50 years. Somehow even "lesser" architectural firms and designers of that period could pull off noble architectural gestures and incorporate great craftsmanship, maybe all are not landmarks, but they certainly add a distinctive presence to any cityscape, unlike our disposable architecture of today.